What to do when your Brittanys fight. Brittanys that live in social groups establish a social structure within their pack. This social structure is hierarchical and your Brittany will determine their place in the hierarchy through control of and access to various resources, such as food, toys and attention from people. A stable hierarchy in which each individual knows and accepts his rank provides your Brittany with a sense of comfort and belonging. Conflicts arise between household dogs when there is instability in the social structure; that is, when the ranking of each dog is not clear or is in contention. 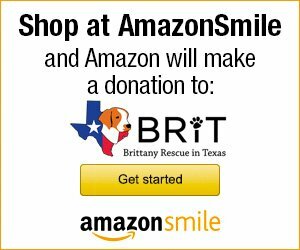 Brittanys may warn each other initially by snarling, growling or snapping, but not causing injury. However, the conflict may sometimes intensify into prolonged bouts of dangerous fighting, which may result in injury. Ongoing canine rivalry is potentially dangerous. 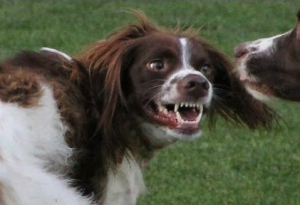 Your Brittany or human family members could be severely injured as a result of fighting. Because resolving rivalry problems requires managing the dogs’ somewhat complex social behaviors, it’s often necessary for owners to obtain assistance from a professional animal behaviorist. 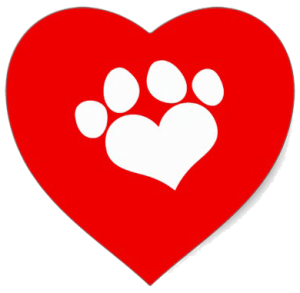 Certified animal behaviorists are trained to observe, interpret and modify animal behavior. A high-ranking dog ages or becomes ill and cannot maintain his higher status. Dogs usually determine their social ranking through a series of behaviors, which include body postures and vocalizations that don’t result in injury. Examples of these behaviors are one dog “standing over” another by placing his paws or neck on the shoulders of the other, mounting, lip licking or rolling over onto the back. Some dogs may take toys away from other dogs, insist on being petted first or exercise control over other resources. However, because of past experiences, inadequate socialization or genetic tendencies, some dogs may escalate these displays into aggression with very little warning. Do not attempt to influence or define the dogs’ rankings by treating them equally or by preventing a higher-ranking dog from asserting his position over another dog. The social hierarchy of the dogs is dynamic and complex, so even attempts to “support the dominant dog” may be counter productive. The dogs should be allowed to determine control of resources, such as toys and favorite sleeping places, amongst themselves. As much as possible, refrain from interfering in the dogs’ interactions with each other. But most importantly, establish yourself at the top of the hierarchy as the pack leader. Practicing “Nothing in Life is Free” is an easy and non-confrontational way to establish leadership by taking ultimate control of all resources your Brittanys find valuable. If your position as leader is clear, it will help them sort out their lower places in the social structure more peacefully. If you need to break up a fight, do so by squirting the dogs with water or making a loud noise to try and interrupt them. Never attempt to break up a dog fight by grabbing the dogs by their collars or getting any part of yourself in between them. Touching dogs while they are fighting can result in what is called “redirected aggression,” where a dog may bite you because he thinks you are part of the conflict. If you’ve had a dog fight, contact your veterinarian for a referral to a professional animal behaviorist.